The more I experiment with different products from around the world, the more I realize that French skincare is exceptional among the rest. We all know that French pastries are also crème de la crème, so the thought of a skincare line inspired by flavours sounded like a match made in heaven. 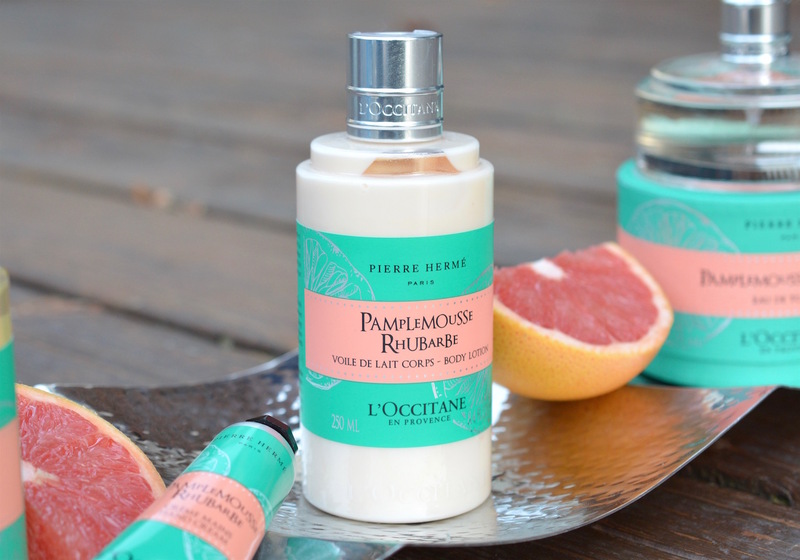 L'Occitane founder Olivier Baussan recently collaborated with pastry chef Pierre Hermé, to create two limited edition fragrances for the holiday season. The collection brings together a unique mix of shape, colour and flavour, using the natural fruit and flowers from Corsica - their favourite island in the South of France. This Jasmine-Immortelle-Neroli line has a floral and feminine fragrance, with top notes of pink pepper and lemon, body notes of jasmine, immortelle, and orange blossom, followed by base notes of amber, wood and musk. If you're a fan of warmer florals, this one is for you. I cannot get over how much I love the packaging of this collection. Everything from the font to the bottle and cap design is absolutely unique, and the colours are perfectly paired. Like usual, I will be repurposing my bottles once they're empty. After attending one of the most beautiful events at the end of the summer, I've been enjoying a little daily indulgence with the help of my Grapefruit-Rhubarb collection that I was gifted. The eau de toilette is a superstar out of the bunch, and not only because it looks gorgeous. This scent is so crisp, and true to its name. Even though they were developed by a pastry chef, these lotions and potions smell like garden-fresh fruit, far from a sweet vanilla dessert. "A vibrant, tangy scent that blends rhubarb with Corsican grapefruit over a base subtly sprinkled with spicy notes." As a lover of all things citrusy and spicy, this line is my new obsession. I also can't believe how long the eau de toilette lasts on my skin, since it's rare for a fruity fragrance to stick around all day. The scent is deeper than the grapefruit products that I'm used to, and believe it or not, it isn't only for women. Grapefruit-rhubarb "appeals to the palette and nose of both women and men". 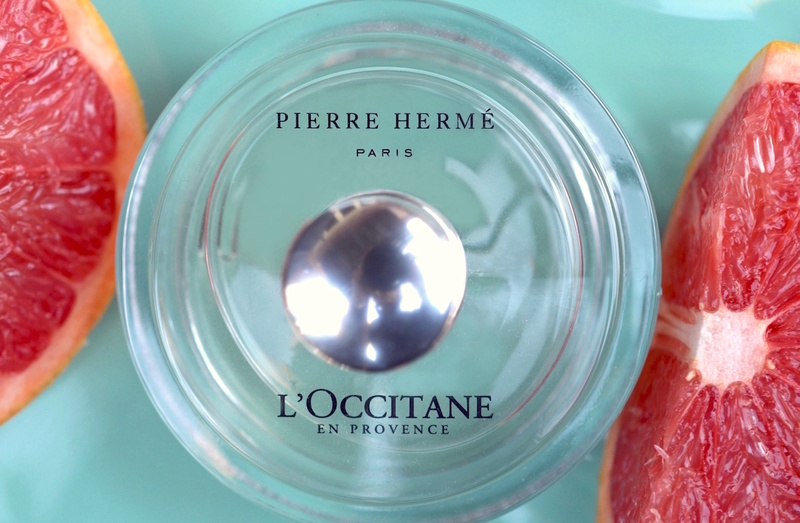 Not only is there the sweetness of citrus, but "Pierre has included the slightly bitter, white inner skin - perfectly underlined by the green and crisp aromas of rhubarb". There's a little bit of spice and cedar, which grounds the fragrance and makes it suitable for day and night. 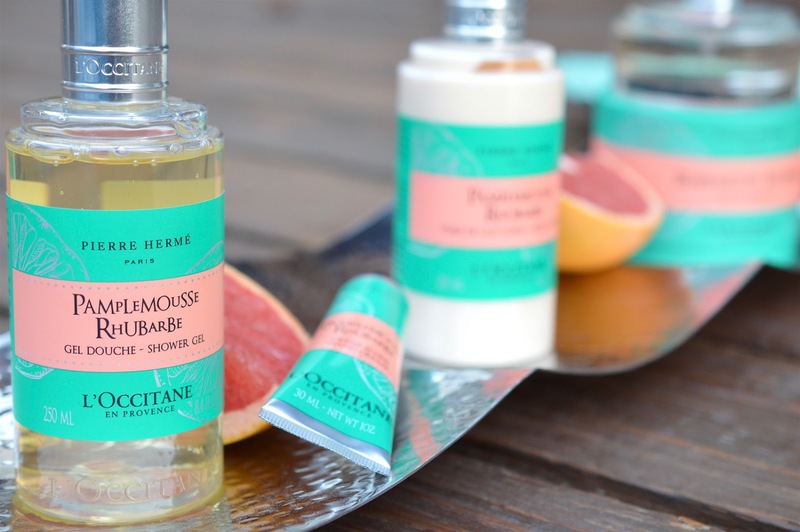 If you're looking to give a gift straight from le sud de la France, the L'Occitane holiday sets are a fantastic value as they're only available for a short amount time. 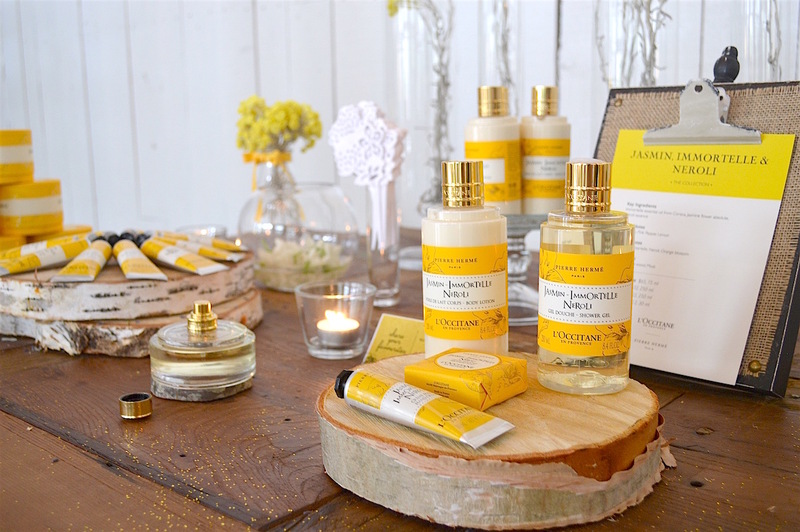 The full range of products is available now in L'Occitane boutiques across Canada and online at ca.loccitane.com. 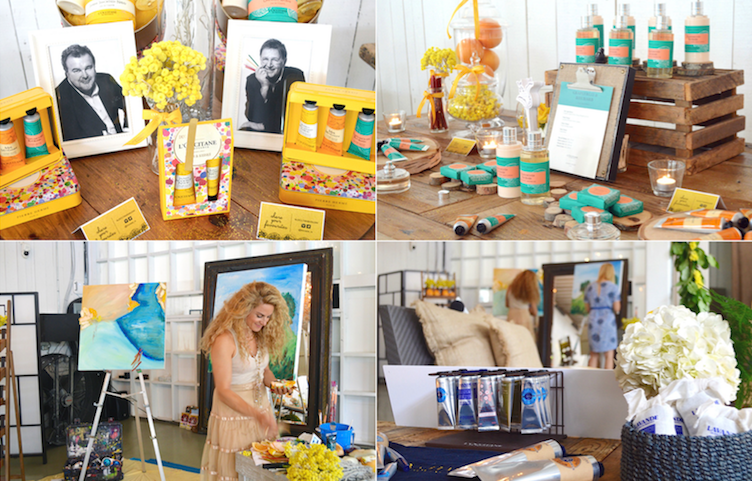 Continuing with their vow to support charities and make a difference, $10 from the sale of L'Occitane gift sets (up to $120,000) will be donated to Dress for Success, a charity which helps outfit women in need for their job interviews. I cannot even believe they combined grapefruit and rhubarb - I'm so excited! I'm going to be checking this out the next time I get into L'Occitane.